If you are buying high quality hardwood parquet flooring, we can offer you many types in different price ranges. Our suppliers are from all around the world so we have really vast assortment of hardwood parquet flooring. Hardwood parquet flooring which we sell is made with modern machines and progressive technologies. We offer more than 480 variations of parquet flooring. To buy suitable hardwood parquet flooring you have to consider many things since it will last for generations. We definitely recommend professional installation even if you think you could do the job on your own. Professionals have many experiences and use better quality materials which offer better results. Since hardwood parquet flooring is a big investment it is wise to install it perfectly. 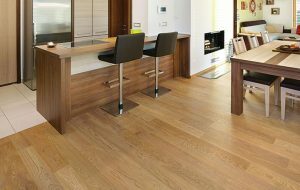 When buying new hardwood parquet flooring you also have to consider underfloor heating so you can choose between types which are suitable for underfloor heating and types that are not suitable. Another choice has to be made regarding type of installation. You can buy parquet flooring for installation with floating method or gluing method. If you decide to install hardwood parquet with floating method, you have to buy quality underlayment. Buying suitable underlayment can be quite time consuming because you have to choose appropriate type for your underfloor. Parquet flooring colours range from white to black. If you buy hardwood parquet flooring in white, grey, brown and black colours with silver, golden and reddish nuances you can create many different appearances of your home. If you buy hardwood parquet flooring in dark colours we recommend to install it in big rooms which have plenty of natural or artificial light. Dark hardwood parquet flooring looks gorgeous if it is combined with light coloured furniture. Contrast between hardwood parquet flooring and furniture is very appealing which is why our clients often buy dark parquet. Hardwood parquet flooring in medium grey and medium brown colour is very universal, it harmonizes well with all colours and styles of furniture. If you buy medium colour hardwood parquet flooring you can create traditional or contemporary look of your home. Medium coloured floors harmonize very well with other materials like stone, glass and stainless steel. 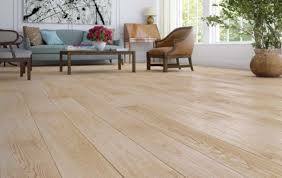 Hardwood flooring in light colours is commonly installed in smaller rooms because it optically enlarges spaces. If you want to create beautiful contrast, you should buy furniture in dark colours. To achieve calming serene feel of room, combine light hardwood flooring with light coloured furniture. Thickness of parquet flooring determines its durability and stability. Our hardwood parquet flooring is 14 – 20 mm thick. It can be renewed several times. If hardwood parquet flooring is correctly and regularly taken care of, complete renovation is recommended once a decade. Renovation consists of sanding and lacquering which make your hardwood parquet flooring look brand new. When buying new hardwood parquet flooring, you should choose it after thorough consideration because hardwood parquet flooring is expected to last very long time. It can last up to 100 years. If you buy high quality hardwood parquet flooring, it will add value to your home. When you decide what type of look you want to create in your home, you can buy different types of hardwood parquet flooring to achieve desired look. If you buy parquet flooring with sanded or brushed surface texture, rooms will have contemporary look. If you decide to buy hand scraped or sawn hardwood parquet flooring, you will easily create traditional appearance. One other thing you have to choose when buying new parquet is décor. You can buy many different decors which we have in our broad assortment. Our clients often buy oak décor which is a classic, we also offer maple, teak, bamboo, wenge. If you don't know how to treat parquet flooring, you can find information on our site. If you plan to buy and install lacquered parquet flooring, you have to clean it after installation with special cleaner. Before applying it, you have to vacuum the floor thoroughly. You can buy two types of cleaners: concentrate which has to be diluted in water or cleaner in spray form which is already diluted. Parquet flooring can be additionally protected with care agent which contains certain amount of lacquer. It can be used few times in year to renew lacquered layer and to fix scratches. Oiled parquet flooring needs more care than lacquered parquet. First it has to be vacuumed so all hard particles are removed. Than it has to be cleaned with special cleaning agent. The cleaner has to be mixed with water and applied to flooring with soft damp cloth. You have to maintain the floor with cleaner regularly, at least once a month. Every application of cleaner makes your flooring more resistant to dirt and stains. Maintenance oil also has to be used periodically to refresh the surface.